Leslie Glass is the author of the April Woo series. Set in New York city, they follow Detective April Woo as she is transferred from Chinatown to the Upper West Side in Manhattan. April, works with psychiatrist Jason Frank, whose involvement varies from book to book. The stories told in the books are all based on real cases, and the way they are written doesn’t glorify the life of a cop. They are shown as real people, with the same problems. Politics at work, family pressures, and relationship problems all come into play in the books, and yet they don’t distract, but add to the wholeness of the storytelling. The realism also extends to the other characters in the books as well. April’s Mother while funny at first, is actually kind of frightening. I can’t help but notice some similarities with my own mother. As of this writing there are seven novels in the series. The series has also been optioned by Hollywood producers Kevin Brown (Roswell), and Lawrence Bender (Pulp Fiction). Leslie grew up in New York, specifically, the Bronx. Her family shared their home with a Chinese couple, which would explain the connection to April Woo. In addition to writing, Glass also is the founder of The Leslie Glass Foundation, a group that grants research fellowships in the mental heath and criminal justice fields. She was also on the Middle States commission for two three year terms. It’s an agency responsible for accrediting colleges and universities. 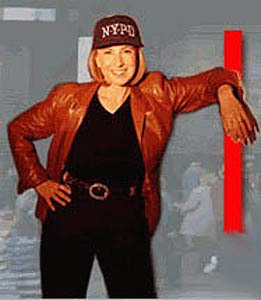 And in addition to that, she is a trustee of the New York City Police Foundation.